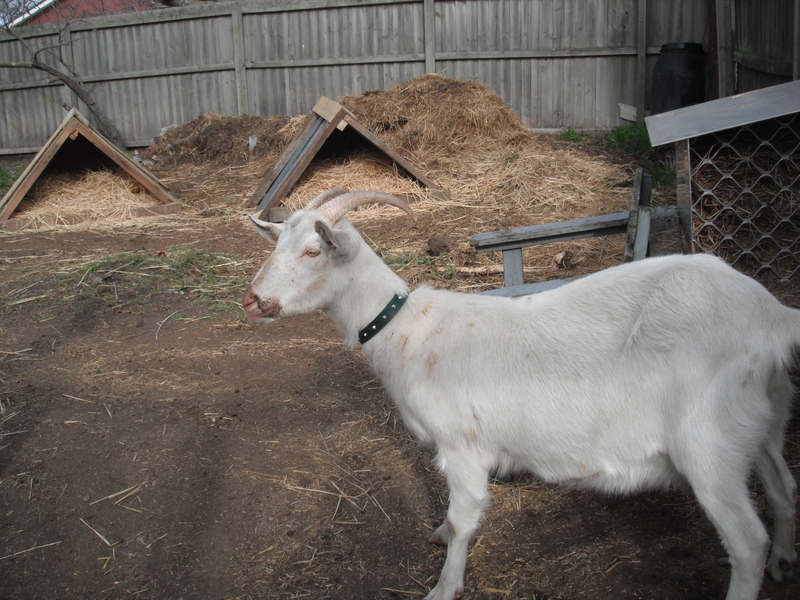 Only a couple of weeks ago, we were bemoaning Miss Ruby Goat’s anti social behaviour, wondering whether she would ever allow us close enough to turn her into a wonderful milking goat, a credit to her saanen pedigree. Last night, as we took turns at holding her and watching the kind of sunset wishes are made on, coaxing her to take just one lick of molasses, just a tiny sip of water, we’d have given an awful lot to have her flick us that haughty look and show us how pretty her horns are. It all happened so quickly. The night before, she had been fighting with her mother to get to the cabbage leaves too grotty to make it to the Homestead dining table; Tuesday morning we discovered a very different goat-girl. Breakfast shunned, she took herself off to the furtherest corner of the paddock and stared blankly into the middle distance. Every so often she would wicker quietly and The Goat Herd and Milk Maid, remembering her birthday and the similar behaviour exhibited by her mother that day, wondered whether they would be dealing with premature kids before nightfall. As the day went on, we started to suspect this was not to be the case. Ruby was weak – she hadn’t eaten all day – and she was beginning to stumble. As we stood by watching helplessly, like you do sometimes in life, a sudden noise startled us all. In the paddock the girls did their best imitation of The Lion King’s “stampede in the gorge” but where Geraldine and Leia ran around the paddock obstacles, Ruby ran straight through them, over the low branches at the end of the paddock and straight into the boundary fence. Have we said before we have a wonderful vet? While The Goat Herd googled the symptoms, The Milk Maid ran for the phone. Both the internet and Steve the Vet came up with the same diagnosis: polioencephalomalacia (or goat polio) which is caused by thiamine deficiency. Steve was just starting afternoon consultations but promised he would be with us as soon as he was free and in the meantime he suggested feeding her molasses, as much as we could get into her. We spent the rest of the afternoon standing in the paddock with our blind goat waiting for the vet. 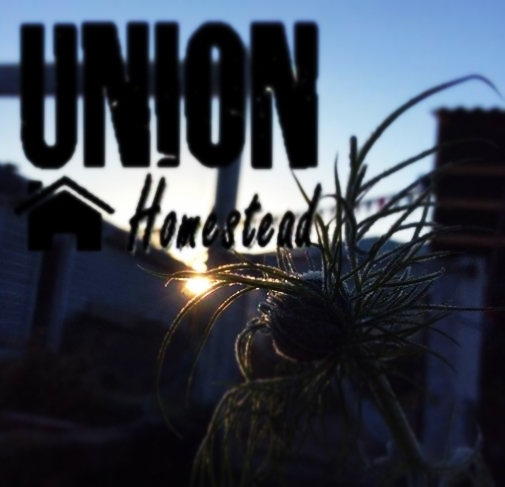 The boys returned from their off-Homestead workplaces; the sun disappeared; the chickens and ducks wandered off to their beds. As Ruby leant against us, sometimes dully licking at our molasses-dipped fingers, sometimes far away in her illness, we stockpiled the goat-cuddles and tried not to think the worst. Steve arrived just after seven; a knight in shining dusty 4 Wheel Drive, well used overalls, and a gleaming head lamp. he was all business. This is nothing you’ve done wrong, he told us firmly, it’s just one of those things that happen. Then, seeing our looks of utter horror, added, we best get started making her feel better. We all breathed again. A bit of the old Ruby spirit showed as the injections were administered: the antidote, an anti inflammatory to reduce the brain swelling that had caused the blindness, calcium to rule out any chance of milk fever (common in pregnant goats, caused by their kids leeching calcium for their bone development), a vitamin boost, and one to rule out any chance of toxaemia. Despite all this, she seemed to relax immediately so we settled her in that well-sheltered spot between compost pile and fence-line, and left her to sleep. Not that we got much; the path to the paddock had more traffic than State Highway One as we took turns to check all was well. 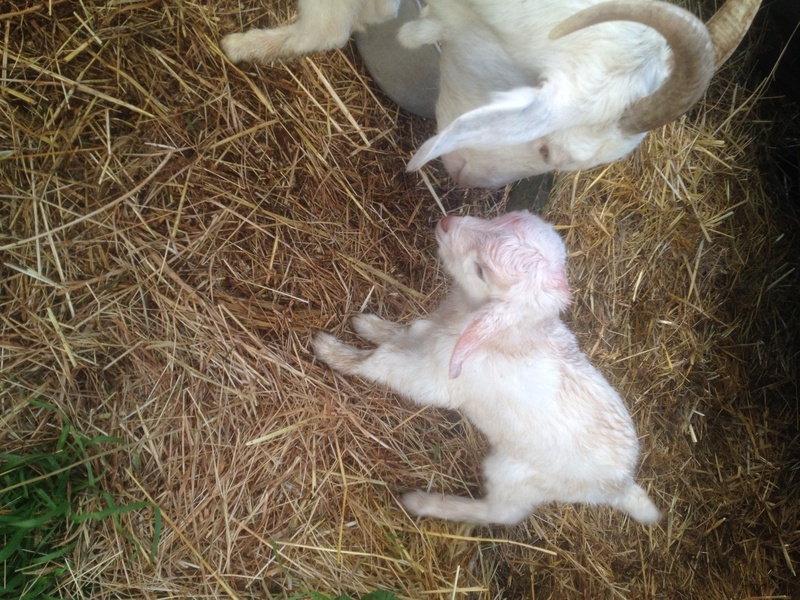 Two days on, we still have a blind goat but she is otherwise well, settled and happy. She’s back to fighting the other two for her share of the food, with her nostrils working overtime as they help her find her way around the paddock. Maybe she’ll never regain her sight but, worst case scenario, we reckon we’re pretty well set up for another visually impaired Homesteader. As for silver-linings: Miss Ruby has discovered she quite likes a human cuddle every once in a while. 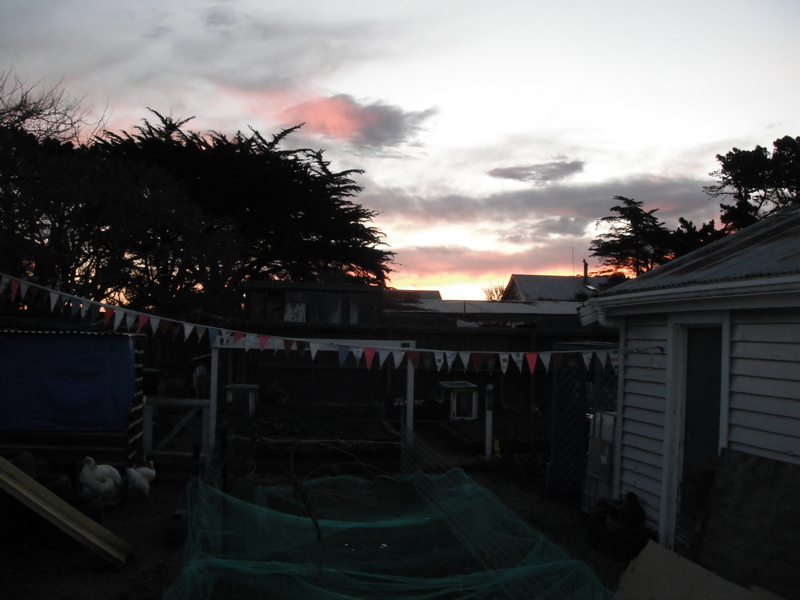 This entry was posted in Goats, Union Homestead and tagged Aotearoa, Belfast Vet, Christchurch, Goat, goat polio, goats, Homestead, Homesteader, homesteading, New Brighton, New Zealand, sick goat, small holding. Bookmark the permalink. So sorry and hope Ruby might get some sight back perhaps? Thoughts are with Ruby. Sounds like you have a great veterinarian! Best of luck! Wow…that sounds like a horrendous week. 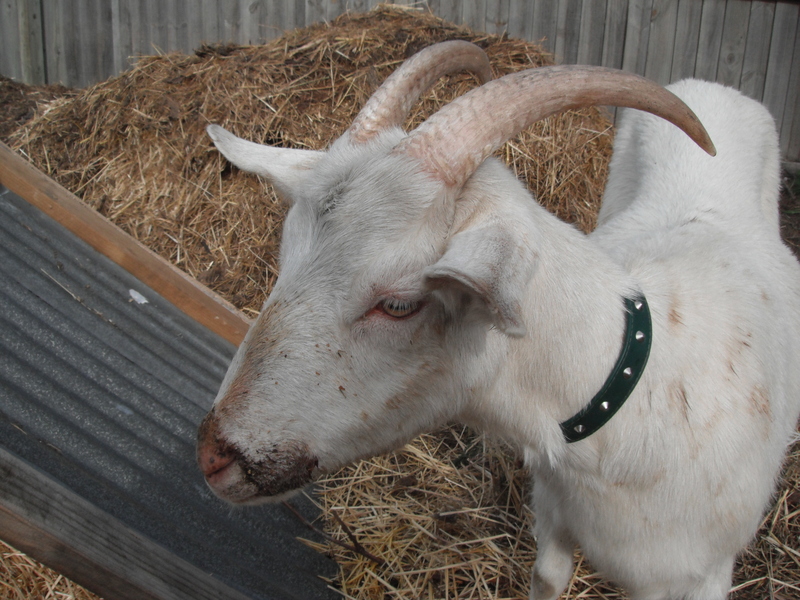 I’m glad the vet was reassuring about it not being something you’d done, because as I was reading I was wondering what caused the deficiency, and you must have wondered too, especially considering all the TLC those goats of yours receive. I’m glad she’s got her spirit back, and that you’ve got yours back too. For some reason this post sneaked under my radar so I am reading it when I know the outcome but nevertheless it was nerve-wracking.